Do You Want to Continue to Choose the Life You Are Living, or Would You Like to Choose a Life of Bliss Instead? You make choices from the moment you wake each morning. You begin with the choice of when to get up. You decide what to wear, what to eat, and when to leave. You decide how to get to where you are going. And the choices continue from there every single day. Are your choices supporting your bliss? 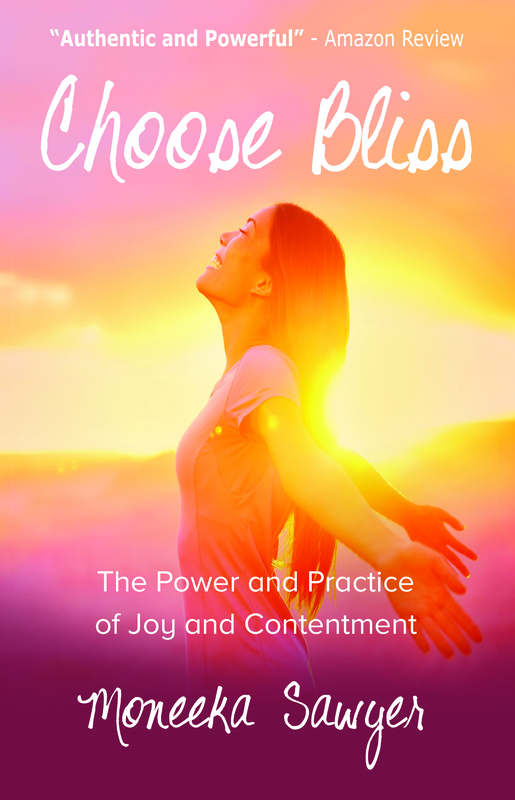 This book is about your power to choose. It is a paradigm changer. It will transform your view of your life, the world around you, and what is truly possible. Filled with thought-provoking concepts, it will teach you simple bliss practices you can implement immediately and short exercises to integrate bliss into your life forever. The tools in this book have proven successful time and time again. So, from this day forward, you don’t have to settle for good enough. You can choose bliss. Contact Moneeka to Speak at Your Next Event! Do You Yearn to Live a Blissful Life? You are not alone. At Core Bliss Life, we do too. My deepest intention is to help you create a life that amplifies your inner light and rekindles the love in your heart. I believe that living a Blissful life is your birthright. Living a Core Bliss Life means you tap into a place that makes life and work feel better. You live joyfully everyday. 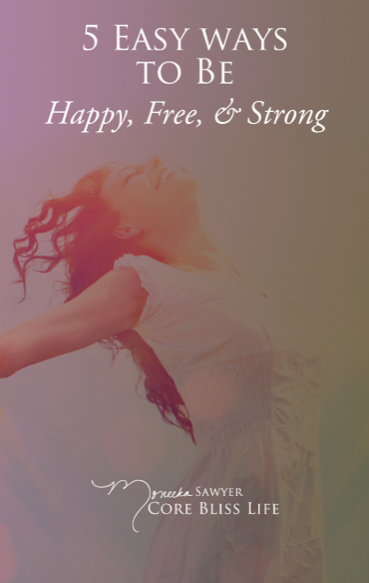 You feel happy, strong, and free. The mental, physical, and spiritual blocks that hold you back from expressing your true joy are released and you find yourself in a place that feels deeply content. At Core Bliss Life, I simplify Blissful Living. I teach big life lessons in small bits. I don’t believe in having to try so hard to be happy. I believe there is always an underlying feeling of joy, satisfaction and peace in our lives. At Core Bliss Life, I help you to live the life your heart deeply desires in a simple but deeply meaningful way. I define bliss as a state of absolute emotional contentment. It’s a place of being in which there is always an underlying feeling of joy, satisfaction, and peace. It doesn’t mean that life doesn’t still continue to happen. Things still go wrong. We still get hurt or feel sad, angry, scared, or whatever. But If we are living in a state of bliss, no matter what happens in life, we are always able to come back to a place of joy and fulfillment. From this place, we are able to experience life with awe, wonder, curiosity, a sense of learning, and the playfulness of youth. A blissful life is your birthright. My passion is helping you achieve it. Thank you! You\'ll be receiving your FREE e-book shortly.